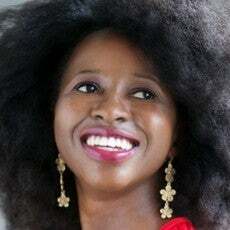 Imbolo Mbue wrote the New York Times bestseller "Behold the Dreamers," which won the PEN/Faulkner Award for Fiction and was an Oprah's Book Club selection. The novel has been adapted into an opera and translated into 10 languages. It also was named a Notable Book of the Year by the New York Times and the Washington Post. "Behold the Dreamers" focuses on an immigrant from Cameroon who lands a job as a chauffeur for a senior executive at Lehman Brothers in New York. The company's collapse forces him to struggle with an impossible choice. Mbue moved to the United States from Cameroon in 1998 and received a bachelor's degree from Rutgers University and a master's from Columbia. Mbue lives in New York.